I was quite surprised after using the Nails Inc Breast Cancer Campaign Nail Polish as normally Nails Inc polishes are nice to use, however this one wasn't. This nail polish didn't seem to go on very easily and I found that the glitter pieces would collect around the top of the bottle which was quite annoying. 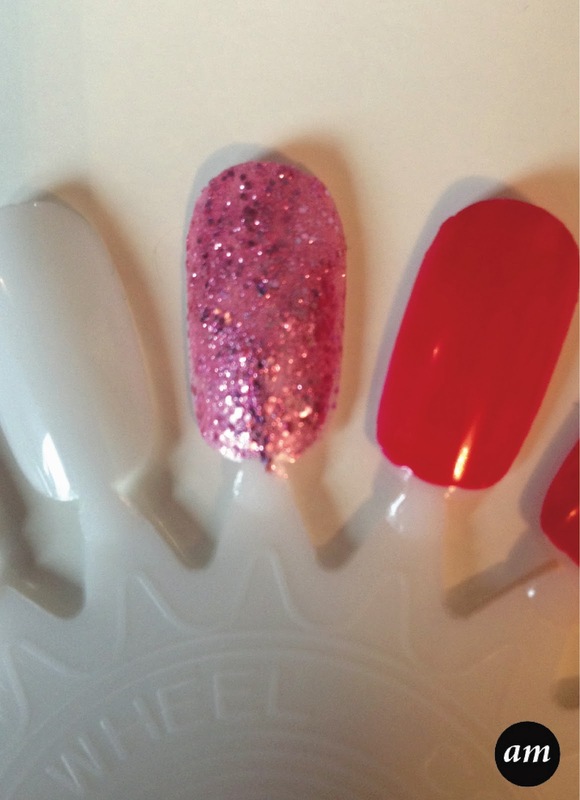 As you can see from the picture above the glitter pieces are clumped together and not spread out evenly. This is not because I'm bad at painting nails, you simply can't help it. The glitter went where it wanted to and there wasn't anything you could do about it. Getting the nail polish off was even harder than applying it. It took me absolutely ages to remove all of the polish from my fingers which normally means it doesn't chip easily, however it chipped the same day. 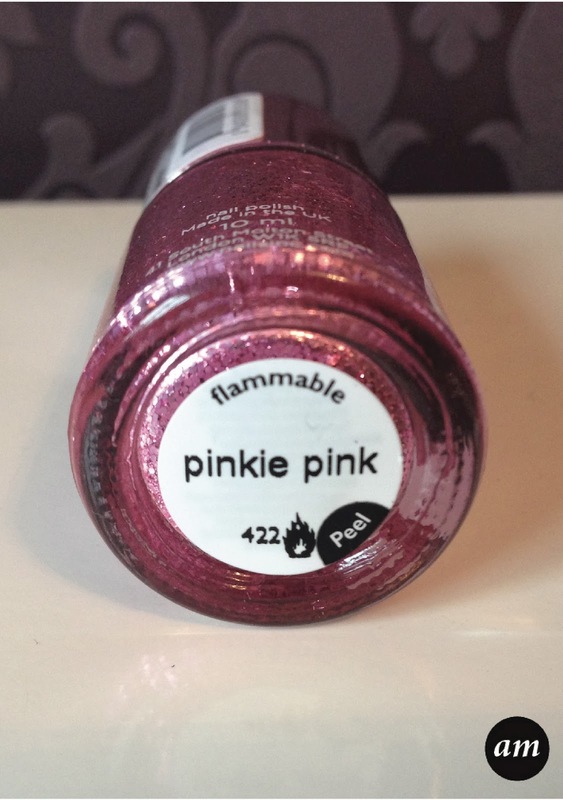 I have used many sparkly pink glitter nail polishes and this is by far the worse one. Although the product isn't good, I do love the design on the bottle and the fact thats it's for charity. I do think though that more than £1 should be given to the Breast Cancer Charity. Overall I would not recommend the Nails Inc Breast Cancer Campaign Nail Polish as there are better glittery pink nail polishes on the market. Why not donate the £11 to Cancer Research Instead? The cause is good and it looks gorgeous in the bottle so it's a shame about the formula!